If you need a copy machine, but your budget can’t make room to purchase one, or you are dissatisfied with the performance of your present copier. So get photocopy machine on rent in Karachi. 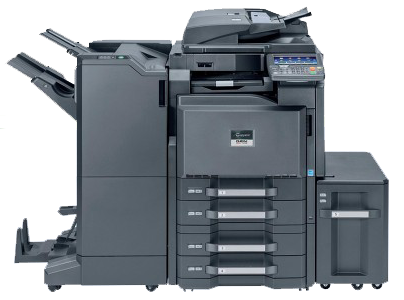 We have the variety of Copiers of different brands (KYOCERA, RICOH, KONICA MINOLTA and PANASONIC) all in top class condition imported from USA and Europe to fit your copier needs. We will service it and supply the parts and toner all without any extra charges. Contact our sale representative for photocopy machine monthly rent. You can always change or cancel your program, However, we are certain that convenience and low price will make you keep the service. As your business requirements change, we are happy to upgrade or downgrade your equipment if the need arises. Photocopierinkarachi.com is a photocopier rental distributor company which provides photocopy machine on rent in Karachi. It is managed by Paragon Copier Solution (PCS) which is the leading photocopier supplier in Pakistan and known for its best quality photocopier machines and reliable photocopier rental services. PCS is the importer of photocopier machines which puts its efforts, time and money to import best quality photocopier machines. We ensure physical presence and inspection before putting the photocopier machines in import procedure. Please don’t hesitate to call for further information. One of our friendly staff will be in contact with you very soon.